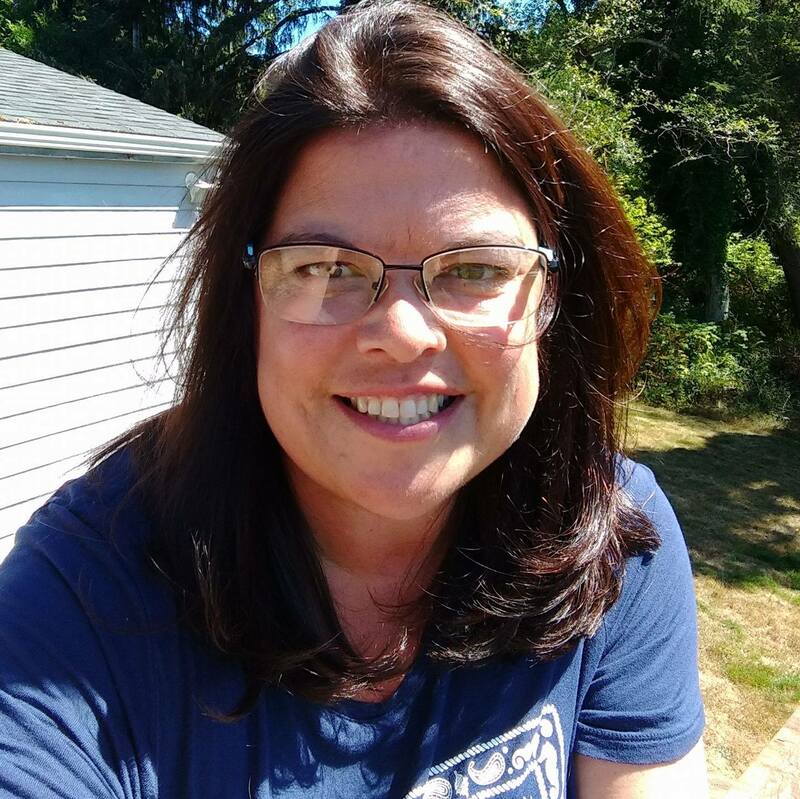 Originating from Letterboxing North America, helped along with Letterboxing Community at Atlas Quest and embracing deeper challenges by Oregon Coast Quests – our love for combining Found Treasure with Natural Treasure continues in Lincoln City. When we first moved to town, we had a small passport style journal with stamped impressions, short journaling notes, memories of discovering new places. Now we sport a midsized backpack, full of trinkets for GPS spots, markers, pens, extra journals, our passport, hand held microscopes, compasses, and supplies to help restore clues on the trail. We got to know the folks at the Hatfield Marine Center when we turned in our Quest Book with 10+ completed Oregon Coast Quests . They started to ask us if we would keep our eyes open on trails to help them know when clues / boxes needed maintained. We said Yes! Which led us to this fall’s project. There had been reports that people were getting lost at the Spring Lake Trail Quest. A simple 45 minute walk was turning into a couple of hours of frustration. OCQ called us up to ask us to walk the trail and pay attention to changes. I set off with the boys, the Quest book, and a pencil. Here is a lesser known fact of Lincoln City. There are quite a few “Open Spaces” maintained by the park system. Wetlands, lakes, rivers, parks – all hold these gems. Well maintained wide soft low moisture paths. The quests guide you through them in about 45 minutes. However, in the fall and spring we can experience hurricane force winds, waterspouts that turn to tornadoes on land, beaver and beetle readjustments, and good ol – old growth rot. People walk over fallen logs redirecting trails. Letters fade from rain and debris frustrating clue hunters. As I wound myself around this park finding quite a few errors, or places that someone unfamiliar with the lake would get off track. Many new paths had been cut in by people refusing to stay on trail. We decided to come back with a pencil and paper with a clipboard and map out the trail. This process took 4-5 trips. Mapping the exact Oregon Quest Trail. Including in extra side trails. Scale of the map was difficult. Going in several circles it was hard to remember if you were going north or south, east or west. How far had you gone around that section to the tree? Diagonal? How did you get back to the place you just walked by? Grrrr. By this time the boys had completely lost interest and started to think that I had gone mad. I had the map almost complete, but wanted to walk the trail fresh. A copy of my hand pencil/sharpie map and a highlighter. I’d try to walk the quest fresh, and see if the clues / map worked well together. So triumphant!!! I felt like I conquered the World. Then I drove back to pick up the boys at a nearby park. Nate was excited to share a story with me. When they first got there, they met a nice lady named Sandy. She had a gajillion dollar GPS. She was working for the city to map out the parks. She’d walk along the trail and the GPS would record all of the coordinates from a satellite. So – not only would they have a black and white type map like mine, but you’d be able to zoom into the map with a picture view of the site. Um. I’d just spent many trips doing this with my clipboard and pencil. Nate made sure to make fun of me. However, he didn’t think to get her name, or give her my name, or LET ME KNOW that this was going on by the city. Grrrrr. We tried to find her, but she had moved on to a park by the hospital and my feed were worn dog tired. Fast forward to a week or two later – and the boys spotted her at the Kite Festival where we were volunteering. I was excited to introduce myself, and ask for her help. She invited me to her office, to bring my maps, and see how close I came. I was excited to be in her office of Maps Maps Maps. I want to be a map maker when I grow up for sure! Comparing my Pencil and Clipboard to the human walked GPS tracked version, showed that I was pretty close! 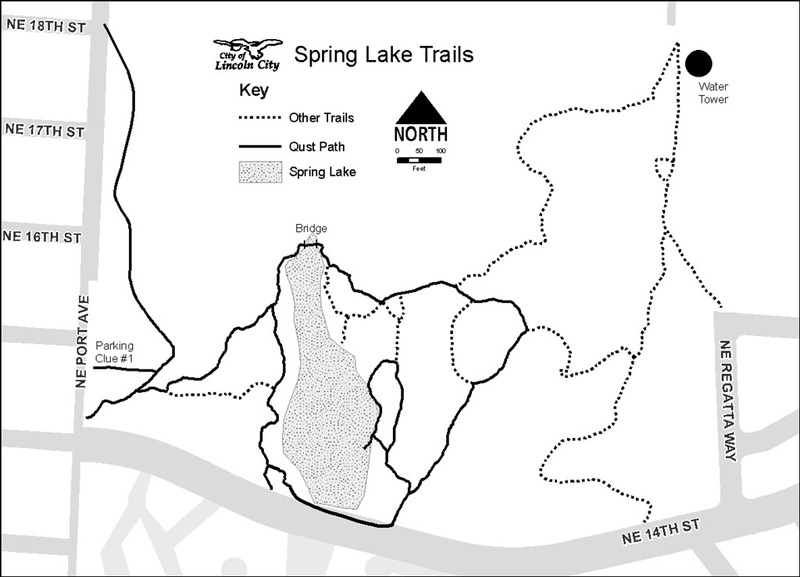 We used her computerized map to show the Spring Lake Trail in dark, and the unused but great to explore trails in dots. Adding a few labels, scale, compass, and a key – and Voila! We have a professional map! This process took two visits and a few emails to collaborate with the Hatfield Marine Science Center staff. The New Quest Book should be ready to print in January of 2013. I am excited to visit the new Quests created! If you have an older version of the book – make sure and check out the Updates and Corrections page to ease your frustrations. If you are new to Oregon Coast Quests you may check out samples here: Samples . So- that’s my journey. I thought the boys would want to be more involved in the process, but they got tired half way through. However, it was their resource that created the final project. They enjoyed visiting City Hall and chatting it up with their staff as well. I’d say it was a family project, with Max and I getting the most foot work out of it. I encourage you, as you work with nature study, especially with your park time – to introduce yourselves to those who work at the site. Talk with the people who are involved in making the decisions to maintain your park. Sit in on a County/City/Lake board meeting so that you may know what decisions are being discussed. Budget monies are low, volunteers are always needed. What can you do to make a difference at your favorite local spot this winter? 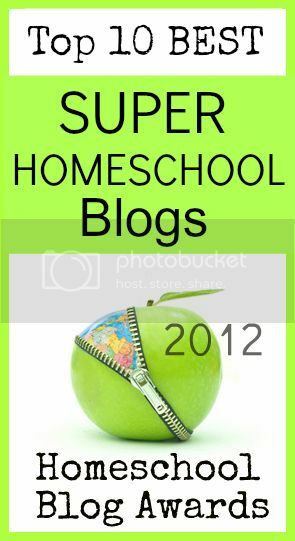 This entry was posted in Lake Schooling, Some Schooling and tagged Boys, Forest, Geocache, HomeSchool, HSBlogger, letterbox, Lincoln City, making, maps, Oregon, Quest, trails. Bookmark the permalink.